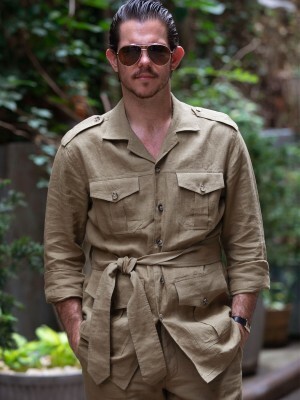 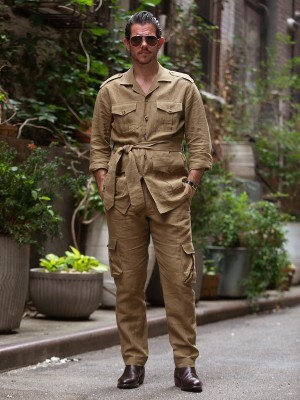 The Michael Andrews Safari Shirt-Jacket is cut from pure 9oz linen suiting fabric from Scabal. It features a "shacket" construction to keep it light and breezy, but the strength and durability of its cloth makes it a versatile outerwear piece. 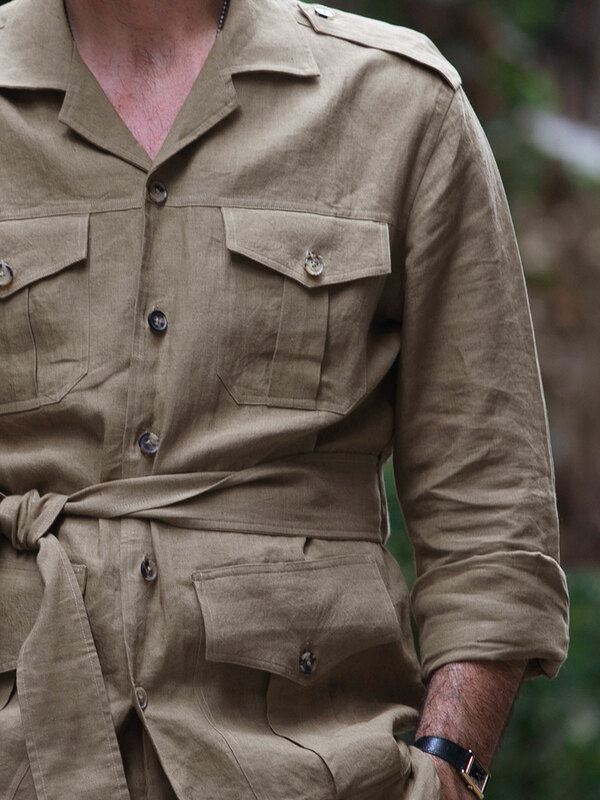 The four pocket configuration and belted waist reflect the original jacket's practicality. 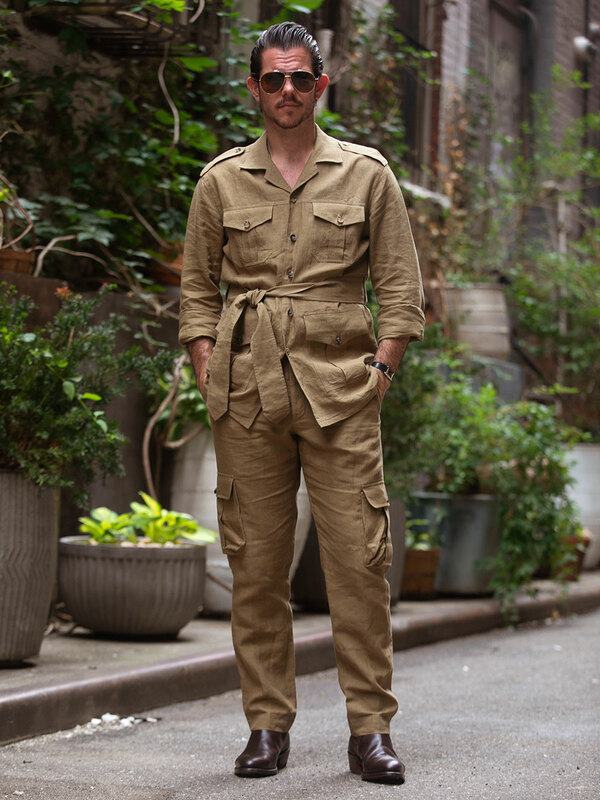 This desert-inspired garment will have you ready to tackle a trip to the Serengeti or a casual weekend around town – lion not included.